Bringing Ridgefield a little bit of the Cajun-Creole soul and flavor that so many from all over CT have grown to love. With the grand success of the Fleetwood, NY location, these guys have decided it was time to show CT what Cajun-Creole cooking is all about! 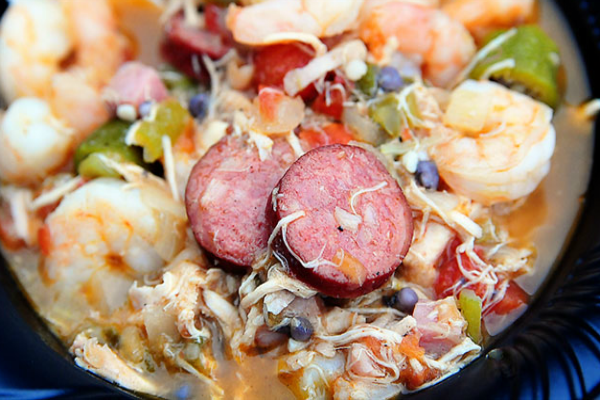 The Bayou North has finally made it to CT so get ready for some Gumbo, Crawfish, Po’ Boys and Hot Sauce! The Bayou’s entire Cajun cuisine is available for you any day and time offering the best Mudbug Mania, Alligator Sausages, Po’Boys, Fried Oyster and even Deep Fried Pickles. Let the Bayou cater your next special event. Any size party from 20 up to 2000 people. A list of 100 hot and spicy sauces available for your purchase. Stop by, try them and get some for yourself! From hot sauces to some of the best andouille sausage and crawfish we’ve had outside of New Orleans. Perfectly blended flavor with the perfect amount of heat! Finally a reasonably priced bar in the Ridgefield area! Hard to come by now a days! I love their beer section and some good southern eating!